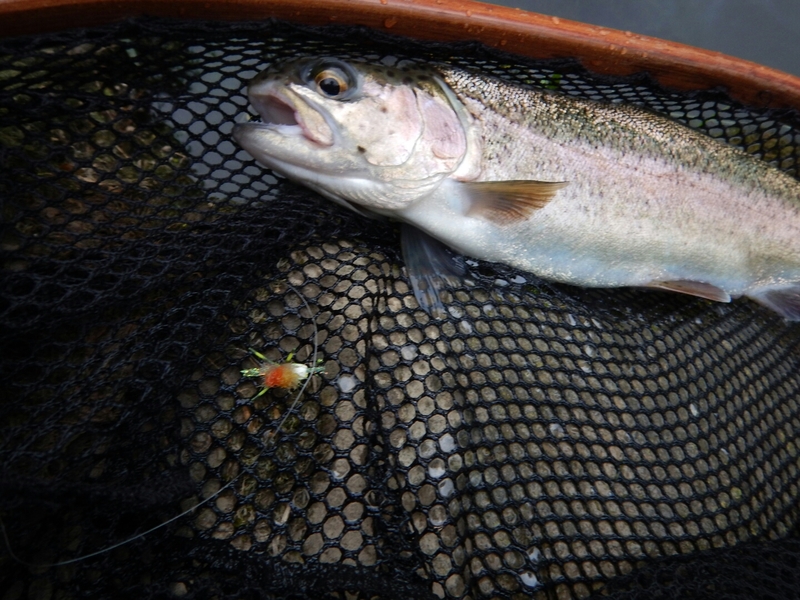 Home » Fly Fishing Terrestrials in Pennsylvania, mid-summer fishing report. Fishing terrestrial fly patterns begins reaching it’s peak in Pennsylvania around August and typically remains a very good dry-fly option for the rest of the summer and into early fall. By this time all of the land-loving lures we love to catch fish on are beginning to show up in numbers. Heavy hitters like beetles, crickets, and grasshoppers join already the present ants and inch worms trout have been keyed on for weeks. Along with this great opportunity comes a greater responsibility for the catch and release angler to check water conditions and temperature. Waters with reliable sources of cold-water such as reservoirs or limestone aquifers typically stay cool year-round. This is why spring creeks and tailwaters are your safest bet for mid-summer terrestrial eating trout. However, the harshest heat can even hurt these waters. Due to overdevelopment some spring creek aquifers struggle to maintain their cool flows in the summer. Here in on the east-coast living the shadow of the megaopolis we are seeing many fields that once allowed water to recharge our spring creek aquifers are being paved and developed. Housing with ineffective storm water management allows warm rainwater and sometimes harmful lawn and automotive chemivals to runoff quickly into our creeks. 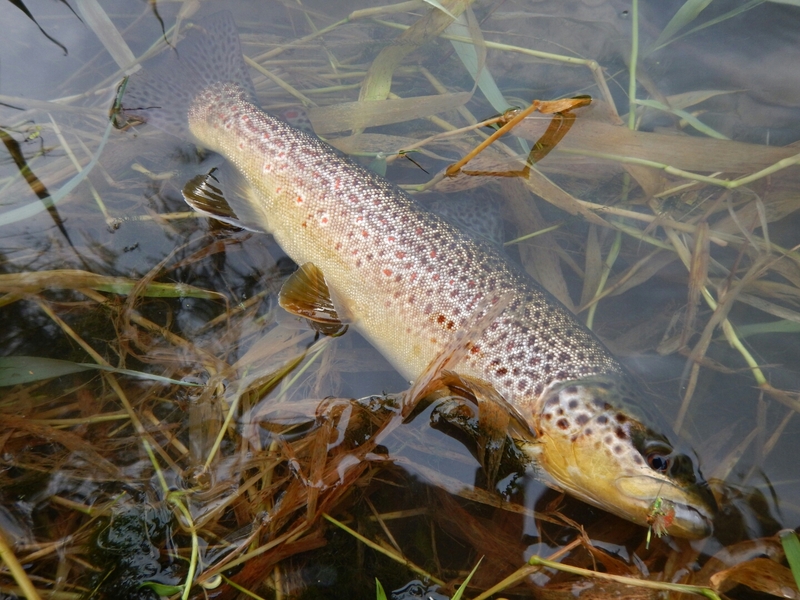 These brief but intense high water events are not natural and can cause the fish stress. Similarly, tailwater dams can suffer siltation issues in their reservoirs which reduces the amount of cold-water they can provide throughout the summer. Both of these issues can be compounded by lack of rain. Warm thunder-showers can also temporarily elevate creek temps. Be mindful and use a thermometer. Fish water in the low 60s, consider fishing elsewhere if it’s in the mid 60s and above. Once you have checked the conditions and they are good you will want to look around at your surroundings for indications of what to use. Meadows often provide hopper and cricket action while thicker vegetation can offer more beetle and worm action. Ants will still be basically everywhere. Remember that larger terrestrials tend to “plop” on the water and a nice hard landing on the water can often elicit a take or at least a hard look at your fly. Just because it’s warm doesn’t mean the trout bite is over. There are plenty of creeks where the water is still cool. Bass fishing is certainly a good option this time of year but don’t miss out on some fine dry-fly fun to be had on these creeks. 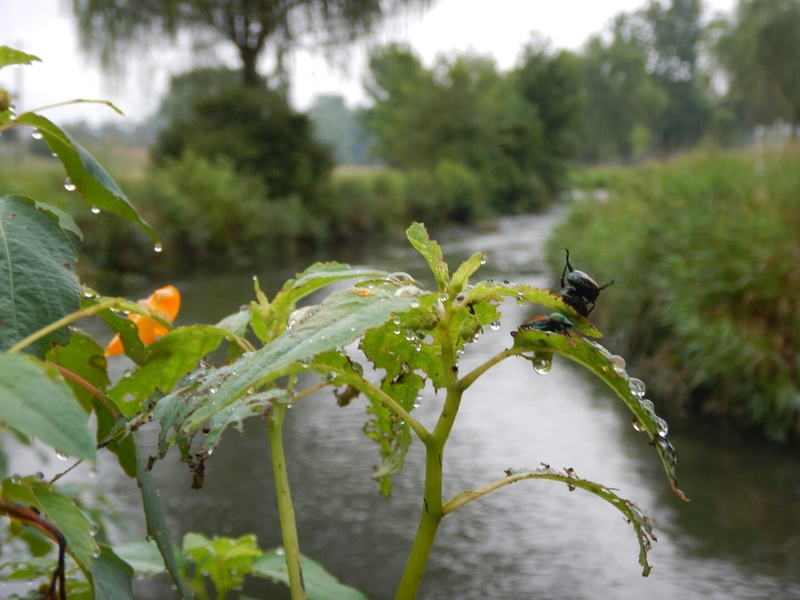 Terrestrial season can offer some of the best dry fly action you will ever experience on a spring creek.